Homegrown stars Liam Gavaghan, Killian Butler and Ryan Elliott inspired Tir Chonaill Gaels to their 17th Senior London title after a dramatic final replay. Victory set up a Connacht Club Senior Football Quarter Final against Roscommon champions Clann Na nGael at Dr Hyde Park on Sunday. Gavaghan, Butler and Elliott scored 14 of the Gaels' 15 point haul as the trio put on an Exiles forward exhibition in front of an enthralled crowd at McGovern Park, Ruislip. 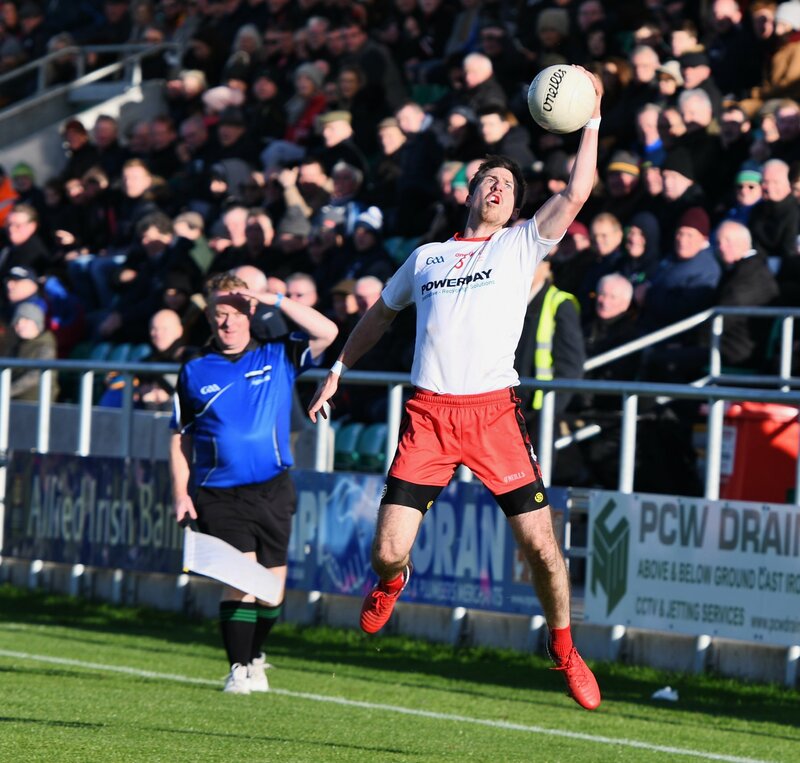 Gaels let a three point lead slip in injury time a week previously but this time around were able to survive more late Fulham pressure to become county champions and avenge last year's reverse to the same opponents. Mayo man Liam Staunton started this replay in almost identical fashion to the first game as he settled Fulham nerves by kicking two early frees. However, TCG then availed of their wind advantage as Kevin Rafferty and Butler kicked exceptional long-range points to level. Another from the irresistible Butler and three ice-cool Gavaghan frees put the Gaels 0-6 to 0-2 ahead. Goalkeeper Gavin McEvoy then denied Fulham's Anton McArdle, after a neat one-two with David Givney, before a Staunton free finally ended 27 scoreless Irish minutes before London skipper Gavaghan replied from play for TCG. But another Staunton placed ball reduced the deficit to 0-7 to 0-4 at the break. Once again Fulham started fastest following the restart, wIth the strong wind at their backs, as a Staunton free and two from play from former Exiles full forward Lorcan Mulvey reduced the lead to the minimum due to Gavaghan's fourth successful free. Staunton (free), Michael Murphy and Gavin Nugent points put Fulham in front for just the second time in the match after 43 minutes 0-10 to 0-9. However, the introduction of Elliott reignited the Gaels once again. and the London corner forward soon pointed an equaliser with virtually his first touch. Gavaghan's fifth free put TCG back in front before highly-experienced former Donegal forward Adrian Hanlon, who had seen very little ball throughout the course of the game, executed a near impossible pass that set Butler free, but Jonathan Tavey produced a superb point-blank save to keep the game goalless. Elliott produced a fine turn of pace moments later and his shot looked to have beaten Tavey, only to be denied by the crossbar. Nugent scored a second to level the replay for a third time but super sub Elliott and the barnstorming Butler turned on the style, kicking two points apiece, from play in as many minutes to give the Gaels a 0-14 to 0-11 advantage. Another late Fulham surge gave TCG supporters a scare with Staunton adding his eighth point, from a free, before a well-worked attack saw the ball shaving McEvoy's post and going wide to spark wild Gaels' celebration. Fulham Irish: J Tavey; M Walsh, C Hyde, R Morgan; R Sloan, H Dockry, D Connern; M Murphy, D O'Connor; L Staunton, A McArdle, S Walsh; L Mulvey, D Givney, G Nugent. Subs: L Turley for Hyde (30), J Gilfedder for Walsh (33), A Savage for Connern (44), M Hughes for Mulvey (55), P Friel for Turley (60), M Cunningham for Walsh (60).